Foothills is located in the heart of Winston-Salem. Through the entrance, you encounter the hostess stand, then beyond that is the bar. The bar area is dominated by dark wood. It's a comfortable place. 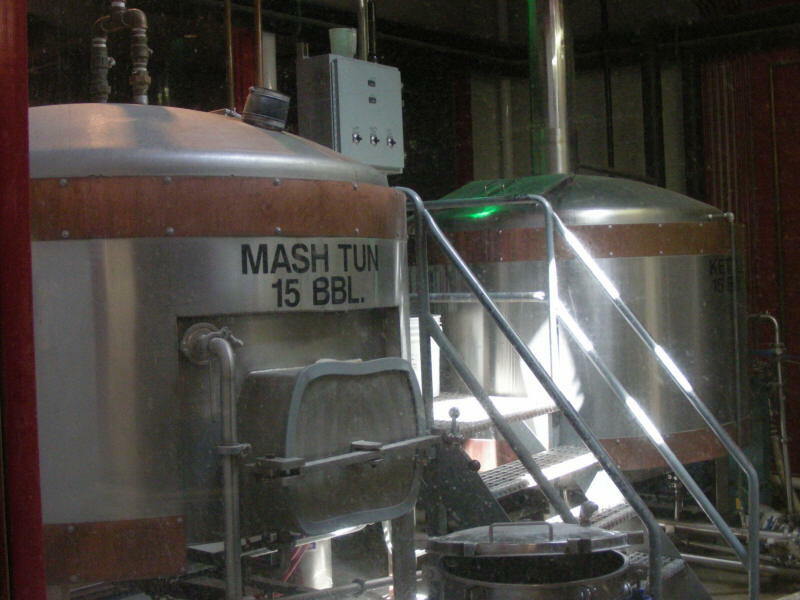 The brewhouse is encased in glass, just beyond the bar room. The food menu is full of pub favorites, with a few twists. I had the cuban sandwich, which was about as good a cuban as I've had. For a side, I had the macaroni & cheese. The mac was super creamy with a nice crust of cheese from the broiler. Service was very good. The bartender was friendly and efficient. Foothills is worth getting sidetracked. 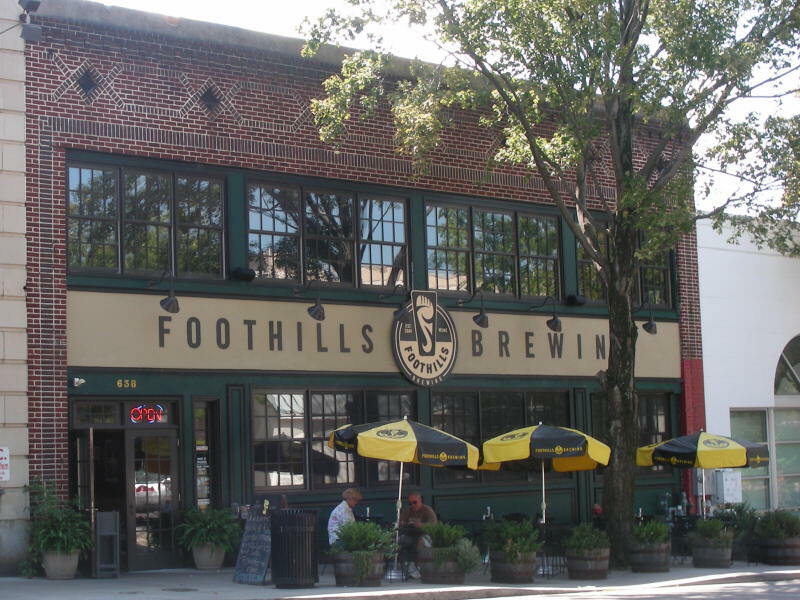 Foothills is a brewpub located in Downtown Winston. They always have 8-10 beers on taps with the standard line up and usually 1-2 seasonals. Sometimes more. The food is very good and above standard bar/pub fare. Highly recommend the calamari as it always seems to be tender. I really like the Hoppyum IPA and Seeing Double DIPA. Even better, ask for the Seeing 1 1/2, which is half Hoppyum and the other half Seeing Double. They have other great seasonals like their India Brown Ale, Oktoberfest, Irish Red, and more. The service is always quick and friendly. They also have a frequent dinners program that if you sign up for on their website will start you off with 100 points free (worth $10 off). 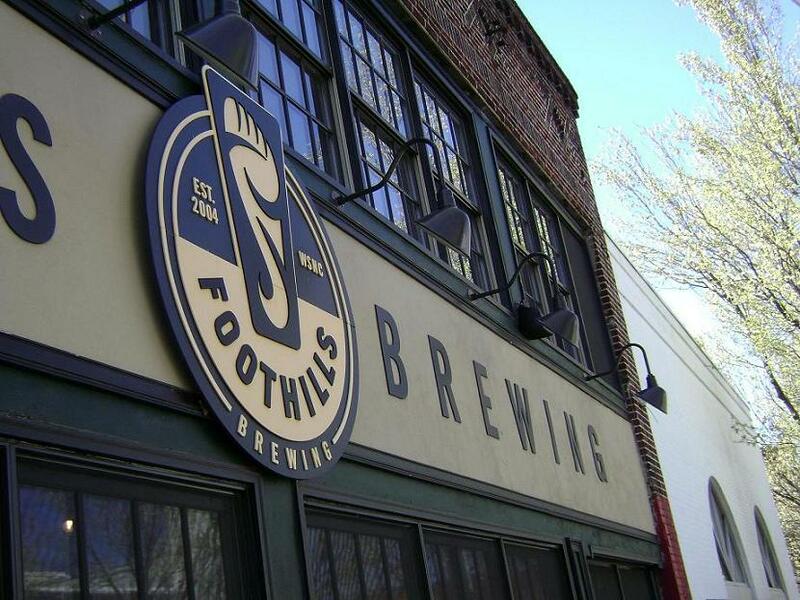 Foothill's has a great downtown Winston Salem location, which is only surpassed by their outstanding beer selection. Their core beers are all above average and their seasonals, specifically "Sexual Chocolate" and "People's Porter" are exceptional. If you are an IPA fan, you must try the "Seeing Double IPA". Other than their home made ketchup, the food is above average for a pub setting (you can ask for regular ketchup) and the staff is always very knowledgeable and courteous. Foothills is a required stop if in the Winston-Salem area. The showcase is the beer which almost always has a full complement of beers on the draft handles. 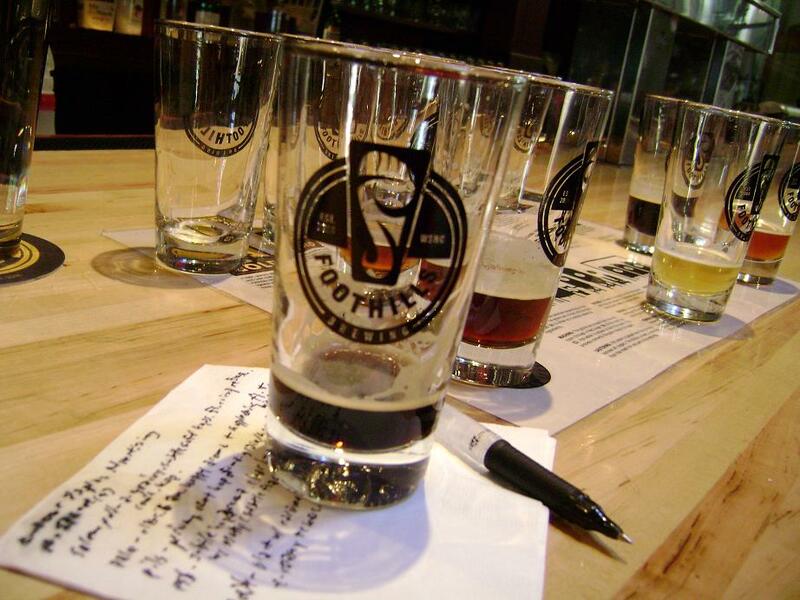 The standard Foothills offerings are all tasty with some appreciable standouts. The food is generally good, but often only average with nothing ever being notable off the menu on any visit. Service has ranged from spectacular to downright slow to nonexistent. On one visit we went nearly 20 minutes before seeing a waitress and then the service was spotty. If crowded and busy, spend time at the bar where you can always be served and eye the dining room to decide if a table is in order or not. Foothills has good food and great beers. The location is very convenient if you are visiting the downtown area of Winston-Salem. 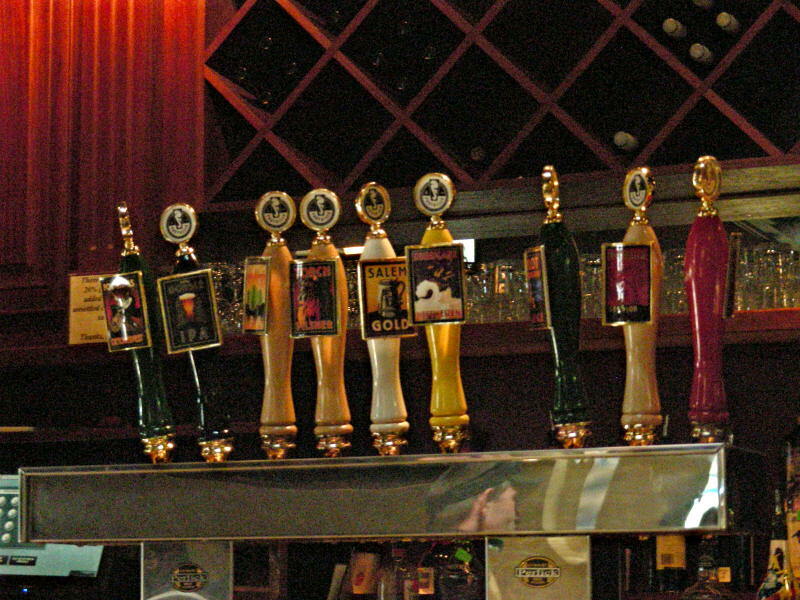 There are 8 or more Foothills tap selections available at the long bar or throughout the restaurant. The tanks and brewing equipment is set up and very visible at the far end of the bar. The general atmosphere of the restaurant lends a bit of comfort to your visit. The service I have had here on all three visits has been solid and friendly. The bar service has been quick (but these have been somewhat slow business nights). I would highly suggest a trip to Foothills if you get a chance. Foothills is one of the best breweries in the state, certainly one of the most well-rounded with solid beers all over the stylistic spectrum. To boot, Jamie, et al are all good people, and when that's the case, I like giving 'em my beer money. Always a festival favorite, but good to finally make it to the brewpub. Good clean, downtown pub atmosphere with the brewery in view in the rear. Always plenty of beers to choose from, with tasty seasonals as well. My bartender was friendly and helpful, my food was good. I was shocked at how good the beers is at Foothills in Winston-Salem. The IPA and Double IPA are out of this world. The food is also fantastic... do the shrimp and grits. I spoke to some of the staff and learned that the Brewmaster used to work for the now defunct Cottonwood Brewery in Boone, NC which made a great cask IPA. FWIW - Cottonwood is now owned by Carolina Brewing in Mooresville, NC... Anyway, great place and GREAT beer.